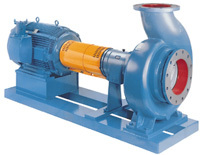 All customer requirements were considered in the design of the 3180 paper stock/process pump. The result is a true world class pump line. . . a product without compromise. Click the button below to add the 3180 to your wish list.